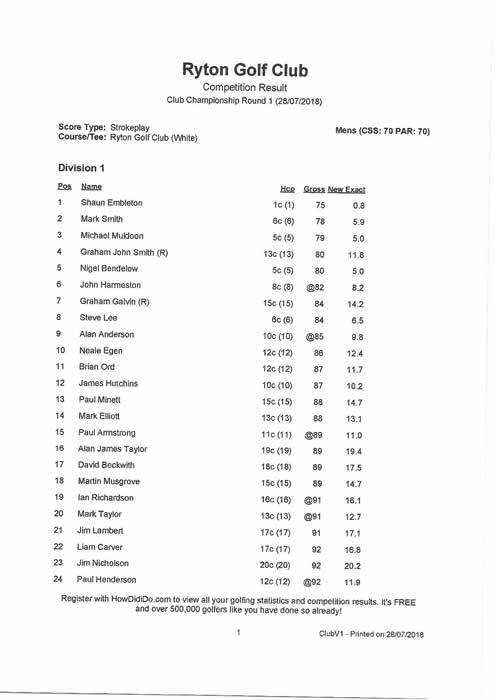 Please note Club Championship Round 1 gross scores. Top 12 players to play between 9.30am-10.00am Sunday 29th July for Round 2. See attached scores for top 12.